Known for delivering top notch headliners, LA PRIDE is keeping its entertainment game on point in 2015. Offering revelers a combination of free community events along with ticketed events, the weekend’s festivities culminate in the city’s iconic parade down Santa Monica Blvd. on Sunday June 14. The celebrations begin in earnest on Friday June 12 with ‘Free Friday’ which includes Lavender Menace, a community celebration of women with activism honoring lesbians who have paved the way for today’s LGBT community. The night features multiple female performers including singer Tamar Braxton and includes a Dyke March through West Hollywood. 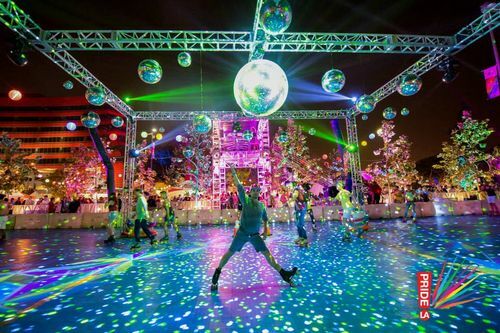 It also includes Trans Dance LA which provides a fun collection of entertainment celebrating the ‘T’ in LGBT. Comedians, dancers, DJs and the cast of Transparent will be on site to keep the good times going all night long. On Saturday, the LA PRIDE Festival officially opens. 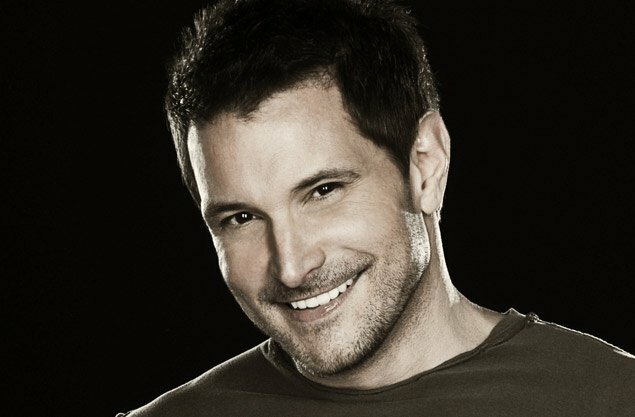 The ticketed event includes concerts from Wilson Phillips, Kesha and Wrabel on Saturday and Ty Herndon and Fifth Harmony on Sunday, along with cocktail gardens, food, art and exhibits. Also back this year at the festival is The Thunder Ground Roller Rink, which Towleroad got to experience up close and personal last year. It’s an exclusive perk for VIP ticket holders and offers guests fast-pass entry, exclusive bars, lounges, food vendors, VIP bathrooms, an up-close main stage viewing area in addition to the star attraction rink. The weekend comes to its zenith with the pride parade on Sunday as hundreds of thousands of LGBT people and their allies flood the streets of West Hollywood for the Los Angeles Gay Pride Parade. Featuring floats, music and a celebrity Grand Marshal, recognized for his or her contributions to LGBT rights and culture, the Los Angeles Gay Pride Parade is southern California’s largest LGBT event. The parade runs along Santa Monica Blvd. from Crescent Heights Blvd. to Robertson Blvd., and the bars and restaurants lining the streets join the party with all-day (and all-night) celebrations. You can purchase your tickets for LA PRIDE HERE. Though the PRIDE festival lasts but one weekend, Weho’s One City One Pride LGBTQ Arts Festival has already begun and lasts through the end of June. An annual celebration of the contributions that the LGBT community has made to world arts and culture in the fields of music, painting, photography, sculpture, drama, film and the museum sciences, each year the festival chooses a different theme from which to examine LGBTQ art. Marking its 30th birthday in 2015, the city of West Hollywood decided to commemorate the ‘big 30’ and its significance in contemporary culture as a rite of passage with the theme “[email protected]” With two days of full programming on Saturday June 6 and Saturday June 27, this unparalleled arts festival will this year also reflect on the AIDS movement, now also in its 30s, and the impact AIDS has had on art. 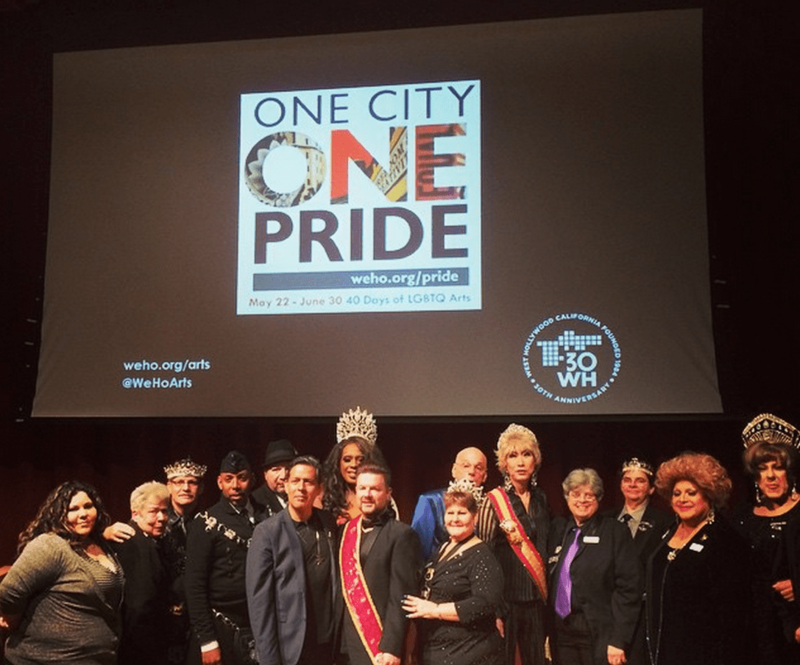 Check out the lineup of events happening at this year’s One City One Pride Arts Festival HERE. Can’t make it to Weho in June? Many of the city’s arts exhibits and performances have been extended through September, providing you ample opportunity to check out this celebration of art, the LGBT community and PRIDE. With its summer savings package, Le Parc Suite Hotel has special rates that will make you want to stay well beyond PRIDE weekend. Rates start at $245.00 per night from May 21 to June 1 and June 19 to June 30, and $219.00 to $239.00 from July 1 to July 6. You’ll also also get 15% off lunch and dinner at the hotel’s Knoll Restaurant and in-suite dining with this package. Use the promo code MEMORIAL at check out. Located on Santa Monica Blvd., The Ramada Plaza Hotel and Suites will put you in the middle of the action in Weho. Use booking code LPTB and you’ll get a standard room for $159.00 or an executive suite for $179.00 when you stay at The Ramada now through June 30 (excluding June 12 through 14). Now through June 21, The Grafton on Sunset is offering 10% off their best rate in addition to a complimentary upgrade at check-in (both depending on availability), a complimentary beverage and free, enhanced wifi. Looking to stay after PRIDE? From June 18 to July 6 book a rate of $259 for a basic king or basic queen room, $269 for a standard king or double, or $279 for a pool view king or double bed. 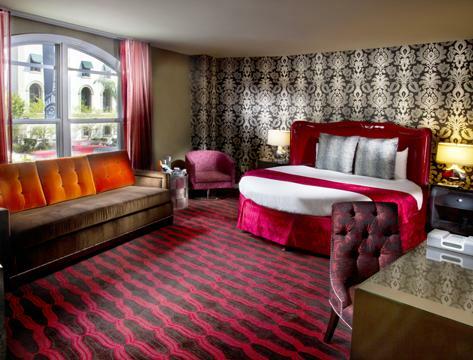 Staying at Le Montrose Suite gets you amazing deals at boutiques and restaurants all along the Sunset Strip. Enjoy exclusive discounts at Equinox, Nicole Miller, Soul Cycle and many more with this special offer. From June 18 to July 6, you can also enjoy special savings: $229 for a Deluxe King Suite, $239 for a Superior King Suite, or $289 for Deluxe One Bedroom King Suite. In addition to these discounted rates, you’ll also get $20 off parking and complimentary upgrades based on availability. Another great standout on the Sunset Strip is the Best Western Sunset Plaza. Book a room now and you’ll qualify for special discount rates and complimentary breakfast from June through August. Book a room with 1 king bed for $289.00 or accommodations with 2 queen beds for $309.00. Contact the Best Western at (323) 654-0757 and mention Travelzoo to purchase this rate. 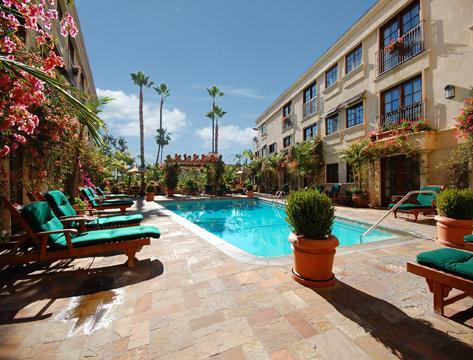 Check out more of Weho’s hottest hotels HERE. Weho also has plenty of cafes, restaurants and eateries to keep your palette entertained during your stay, with old school favorites like Barney’s Beanery, Basix, Marix, institutions such as Cecconi’s, Hugo’s, Kitchen 24, Eveleigh, plus new additions Connie & Ted’s, PUMP, and Gracias Madre. Weho is also host to numerous other cultural sites to see including the MOCA Pacific Design Center, the ONE Archives Gallery & Museum honoring LGBTQ history, not to mention several public parks, galleries, gyms, spin and yoga studios, and world class shopping. For more information on this year’s LA PRIDE visit their website by clicking HERE. You can also check out their Facebook page HERE.